This has been in bud for a long time and at long last the flowers are opening As they first opened they appeared completely white, but there is some pink visible now. Will have to wait and see if this pink colour develops further. I don't normally comment on scent, but this is highly scented and is noticeable from a distance. 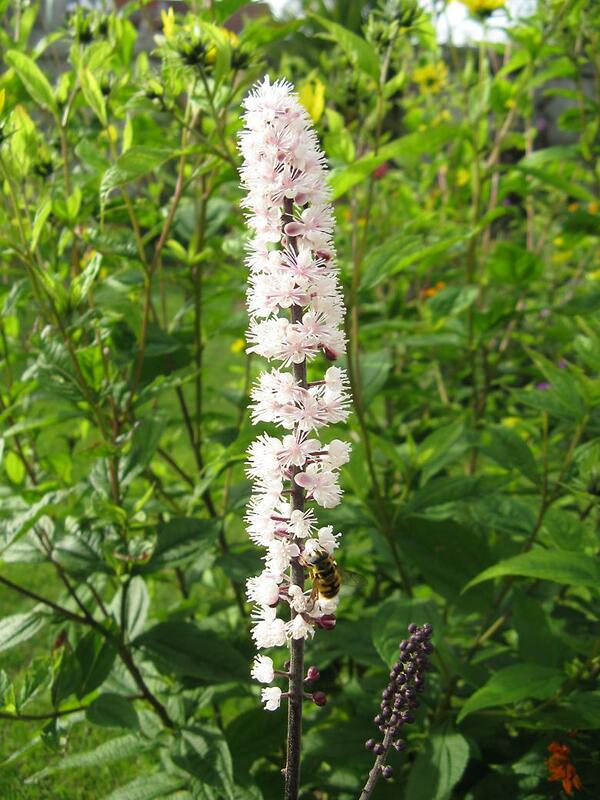 My other Actaea is even further behind, the original stems never developed any buds, but newer stems that are still quite short do have buds. They seem to be no where near flowering though.